I just got back from a bit over two weeks in the southwest corner of Uganda working with We Care Solar, as a Solar Energy International in fall of 2012 to train Solar Ambassadors from around the world to teach and install Solar Suitcase systems. This trip was part of a Grand Challenge grant for Saving Lives at Birth. About 150 Solar Suitcases will be installed in about 100 clinics in four districts of southwest Uganda. This was my first international trip with We Care, and my first time to Africa. It was absolutely incredible! Call SEI Student Services at 970-963-8855 x1 if you have any questions about SEI’s Online Campus. 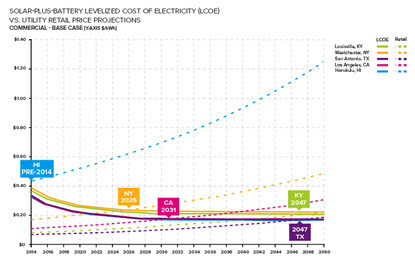 Distributed electricity generation, especially solar PV, is rapidly spreading and getting much cheaper. Distributed electricity storage is doing the same, thanks largely to mass production of batteries for electric vehicles. Solar power is already starting to erode some utilities’ sales and revenues. This report demonstrates why SEI’s battery-based pv training is experiencing a major resurgence in recent years. In response to the growing need for battery based pv training, PV classes in Paonia, Colorado this summer, including the popular PV301L: Solar Electric Lab Week (Battery-Based). PV351L in Vegas – Solar O&M Baby! 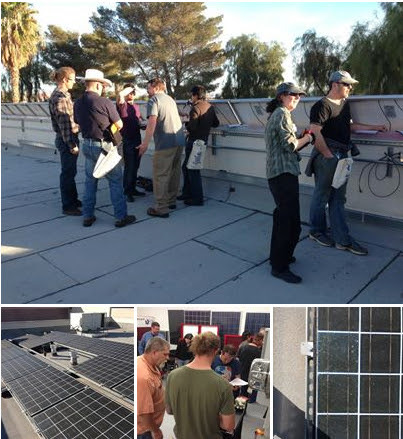 Solar Energy International took its popular lab class, Tools and Techniques for PV System Operations and Maintenance, on the road, and was graciously hosted by the Electrical JATC of Southern Nevada. The weather was fantastic and the training facility top notch – perfect conditions for three days of theory and hands on with a variety of PV systems and tools. “Oh don’t worry, it’ll just slide off.” That’s what I heard over and over again as I was building my first solar farm in Massachusetts. I own two different 2MW solar generating facilities in central MA. They are both ground mounts with 2x portrait racks at a 30 degree angle. There is 24″ from the leading edges of the arrays to the ground. “Wait, so you’re telling me that snow is just going to slide off…I do’t think so” was usually my response. But over and over I was told to not worry…which didn’t convince me. And my concerns were validated during the system’s first winter 2012/2013. In Massachusetts we had what I would call a very average winter as far as snowfall went. And guess what, the snow didn’t always just slide off. In fact I watched during the end of December and beginning of January how a compilation of snowstorms flatlined my production for 8 days straight. Screw that. February has been the month of conferences! Already this month, SEI has attended Solar Middle East and Solar Power Colorado conference (hosted by CO Solar Energies Industries Association), and will be attending the International Roofing Expo, and MiaGreen Expo and Conference at the end of the month. ? For the Workshop Coordinator, that means checklists. I live for checklists! The Solar Rollers program, in which high school teams design, build and race sophisticated solar-powered remote control cars, is transferring from Solar Energy International to Energetics Education, a startup non-profit based in Carbondale. The program is the only one of its kind in the US and was successfully trialed in 2013 with four teams from the Roaring Fork Valley. Solar Rollers recently won the Excellence in Secondary Education award from the Colorado Alliance for Environmental Education. At this time last year, I knew nothing about solar energy. But 9 months ago, I was brought on as the Strategy Director for SunSaluter, a social enterprise tackling solar energy efficiency and clean water. The SunSaluter product is a solar tracker designed for the developing world that uses the power of gravity and water to rotate solar panels and increase efficiency, helping users get more energy from their panels. When I started my job, I was nervous that my lack of knowledge about solar energy would hinder my ability to fulfill the organizational mission of spreading clean water and energy as far and as wide as possible. I didn’t want to let the organization down, so I knew I needed to learn more about solar. Soon after I started, I met Kathy from Solar Energy International, and she extended an invitation to Solar PV 101 to get me up to speed on the basics of solar energy. It was an incredible experience. Because the lectures are online, I could watch anytime I wanted, which was hugely helpful when trying to balance early morning calls with partners in India and attending conferences and networking events here in San Francisco at night. The forums were helpful for answering questions, and the instructors really cared about my learning. The SEI Student Services Team is reviewing candidate applications for 2014 Solar Professionals Certificate Program (SPCP) – Apply Today! Applicants should apply as soon as possible in order for SEI Student Services advisors to schedule a training advising session before the next round of prerequisite courses. 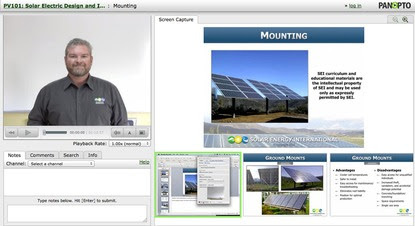 To all Solar Energy International supporters, SEI sends thanks! 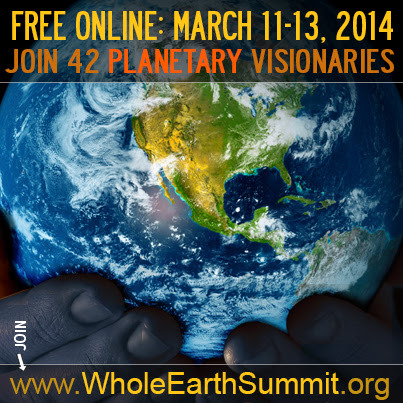 Help create a sustainable future. Please forward this e-newsletter to your friends and colleagues.